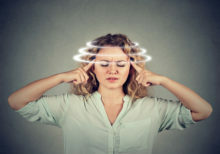 A bio-identical version of the hormone aldosterone is increasing in popularity as an experimental treatment for age-related hearing loss. Learn about aldosterone and effective other natural remedies for hearing loss here. A common type of hypotension, or low blood pressure, is known as orthostatic hypotension. Also called postural hypotension, it involves a sudden drop in blood pressure when you stand up from a prone or seated position. If you suffer from tinnitus you probably would do anything to get rid of the noise. So what if good news could come in the form of a cup of coffee? If you have injured yourself—be it a sprained or strained muscle, a torn ligament, or a broken bone—or if you have a physical condition that affects your joint flexibility and mobility, you may be tempted to take to your bed in order to alleviate your discomfort and recover your strength.